I met my travel partner, Kirk Schauer, at LAX on Wednesday evening. Kirk is an associate pastor of the Santa Maria, CA, Vineyard Church, and he is also the director for Seeds of Hope International Partners (SHIP). 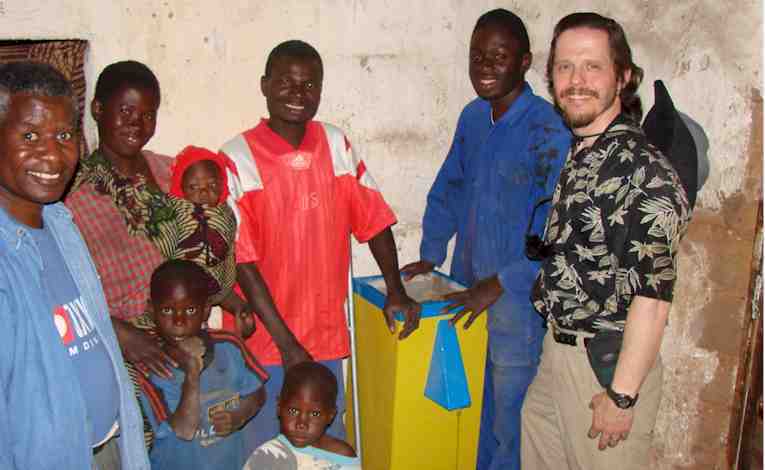 SHIP is a Lifewater partner with its headquarters in Ndola, Zambia. In short, this means that Lifewater trained and helped equip the leaders of SHIP to be able to train local Nationals in Ndola regarding safe water access, hygiene, and sanitation. This is a great example of Lifewater’s model of “training trainers to train.” Kirk and I had ample time to get acquainted on our 29-hour trip! After what seemed like days (because it actually was! ), we landed in Ndola. After getting through customs without too much trouble, we drove to the SHIP headquarters a few miles outside the center of Ndola. It consisted of a converted private residence on loan from a Zambian gentleman with a heart for helping his people. I had my own room, where I slept on a mattress on the floor with my mosquito net protecting me from the nightly malaria messengers. The house was in moderate to considerable disrepair, but it was clearly serving the purpose of a central location for this team. I met the team, including several members from the USA who had been serving for three months and were leaving in several days for a break back home. Already, these team members were enthusiastically speaking of returning to Ndola. I also meet Pastor Frances Faruka, a Zambian gentleman who left a successful accounting career six years ago to enter full-time ministry. He pastors a Vineyard church in a local rural slum settlement named Chipulukusu, which means “wicked” or “cursed.” Frances and the other local pastors have committed to renaming this settlement “Mapalo,” which means, “Blessing.” Mapalo is a settlement of some 65,000 persons living in mud brick homes with open hand-dug wells. Such conditions doubtless inspired the “cursed” naming of this area. The lack of hygiene and sanitation knowledge was evidenced by the latrines which were often built close to wells and homes. As a result of leaching, the groundwater is contaminated there, making well drilling useless. Moreover, during the six months of rainy season, the dirt roads are completely unusable and flooding results in even more contamination of the open, hand-dug wells. It is no surprise that waterborne diseases are rampant. A typical mud brick, tin roofed him in Mapalo. 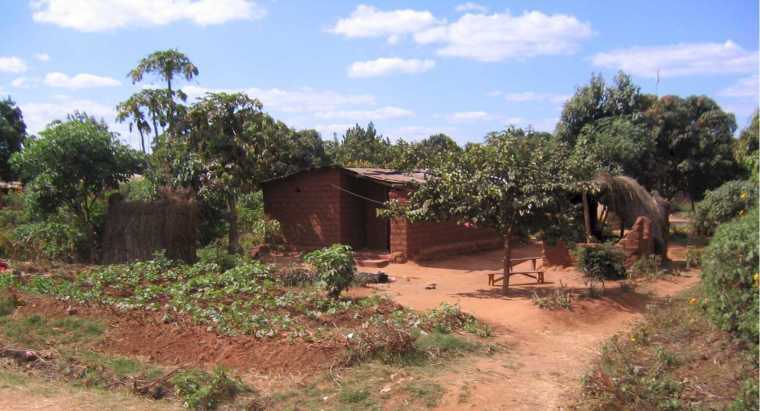 This home has no well and no latrine. Such poverty has it contrasts in Ndola, however. I once accompanied two of the women serving with SHIP downtown to the local Shoprite supermarket for groceries. Security guards were plentiful and carried clubs, supposedly to deter theft. Aside from this difference, however, the store was comparable to any midsized supermarket in the United States. Thus, I was introduced to the stark disparities within Zambian culture, where bleak poverty can sit adjacent to far more comfortable amenities. Indeed, the drive through some of the neighborhoods afforded views of nicely manicured, well-painted, walled properties with most modern conveniences. Such homes, however, could be within only two blocks from a more common picture of homes made of mud or cement and small wooden shelters serving as grocery markets. In addition, electrical power frequently fails even in the best of neighborhoods, as does municipal water, reminding me that I was very far from home. While in Ndola, a highlight was attending the worship service at the Mapalo Vineyard, a tin-roofed open-air structure supported by wooden poles. Although 100 to 150 typically attend, there were only perhaps 50 or 60 congregants attending that day, due the unusually cold and windy weather (the temperature was a chilly 69 degrees Fahrenheit!). I was glad for the lack of walls because they would have blocked the magnificent 360° panoramic view of the flat African landscape stretching out as far as I could see. Even with only around 50 people, the singing rang out with loud enthusiasm. The worship team consisted of two young ladies, a young man with a guitar, and another young man playing a dilapidated electronic keyboard attached to a car battery. Some songs were in English, the official second language spoken by almost all Zambians. For the remaining songs I could not understand the words, but the hearts of those singing were easy to translate. I was asked to speak, as was Kirk, with Pastor Frances translating. There was also a time of sharing, where several individuals testified how coming to know Jesus Christ personally as Lord and Savior had made a huge difference in their lives. I was deeply encouraged to see that this local Lifewater Partner (SHIP) was offering not only physical but also spiritual resources. Mapalo church members sing and worship. The SHIP drill rig is to the right at the nearby school. Perhaps the greatest highlight of my trip was being present for the installation of the first bio-sand filter in a Mapalo home. The local SHIP leaders wisely chose to place their first demonstration filter with a crew member, who would obviously know the value of such a device as well as how to properly use and maintain it. This young man and another crew member carried the filter carefully into the “living room” of his mud brick home and placed it in a corner on the dirt floor, six inches from both walls. 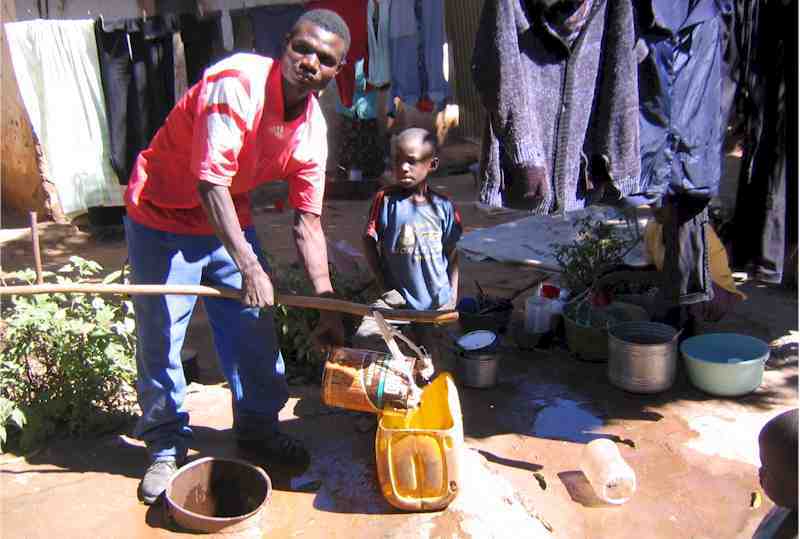 He must draw his family’s water with a rusty paint can on the end of a pole from this open, contaminated, hand-dug well. Pouring this dirty water through the bio-sand filter purifies it! When I suggested that he might place it right up against the corner to save space, he explained that he did not wish to scratch the paint…on the filter! This young man was already demonstrating his deep appreciation for his filter’s value as well as pride in the work that went into making it. When the installation was complete, Pastor Frances, Kirk, and I dedicated this first filter with prayers of thanksgiving and blessing for the young man’s family. He had a wife and three very small children who doubtless had already suffered often from waterborne diseases such as diarrhea, which itself can be deadly. Now the cycle of disease and death could be replaced with life and health. Hopefully, everyone in Mapalo will one day have safe water to drink! No longer will these three little ones or their parents need to suffer with waterborne disease! After six eventful days, Kirk and I said our good-byes to the SHIP staff and prepared to travel south to Lusaka by bus, where we would participate in the 2006 Lifewater African Partners Conference. It is remarkable how quickly one can feel bonded with new friends. I was truly sad to leave Ndola. On a happy note, Jerry, a SHIP staff member, had blessed me with the use of his cell phone before he returned to the USA for a break. This unexpected gift enabled me to talk with my wife Sharon every night for the remainder of my time in Zambia, for only 15 cents a minute! There is something truly amazing about hearing the voices of those you love, especially when they are literally half-way around the world from you. Being able to share our days with each other by phone was truly wonderful! Because the stars are all different in the Southern Hemisphere, this was the first time that Sharon and I were looking up at two different night skies, which made the distance between us seem even farther, and the blessing of a phone all the more precious. Together, we thanked the God who had made all the stars in both hemispheres! The bus ride to Lusaka was to take about three hours, but it was a four-and-a-half-hour journey because the driver made several “unofficial stops” to let off and/or pick up friends along the way. The journey was hot and dusty, but the road was acceptable, and we arrived in Lusaka safely as the moon rose. We were picked up by Evans Chiyenge, the owner of the house used as SHIP headquarters in Ndola, and driven to the Go Center Christian conference center which would serve as our accommodations in Lusaka. 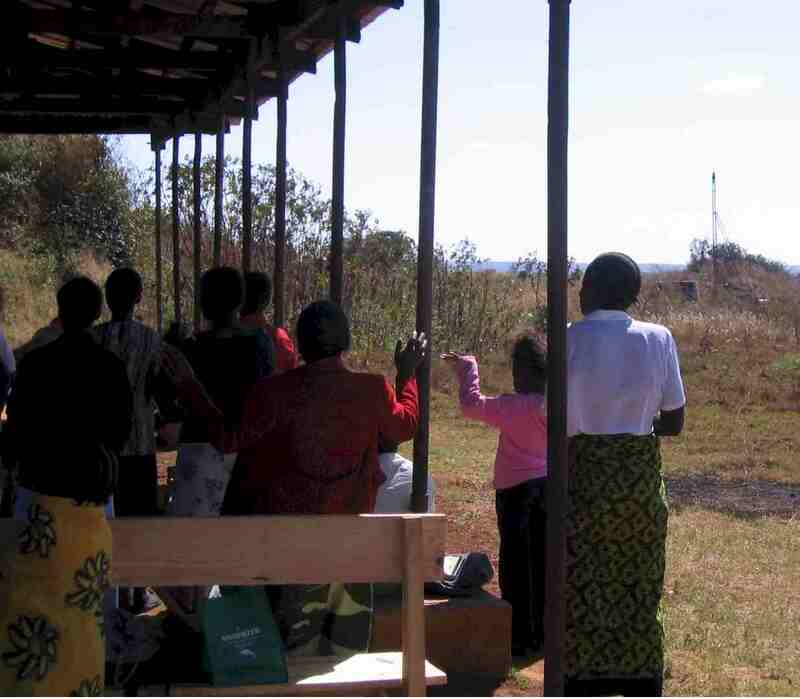 This compound, which houses an HIV/AIDS health clinic, a school, a church, and a lodge, is graciously hosted by missionaries Helmut and Esther Reuter. Esther is a registered nurse and Helmut left his career as an engineer when the couple began fulltime ministry. Not surprisingly, their many pursuits include focusing on health, sanitation, hygiene and safe water, and they have also been Lifewater Partners since 1992. When we arrived at our room, the clean beds, pre-hung mosquito nets, and hot showers (well…hot for 3 minutes…if you were first!) were certainly welcome contrasts to our Ndola stay. Sleep came quickly! Click here to read about STORIES FROM THE FIELD.